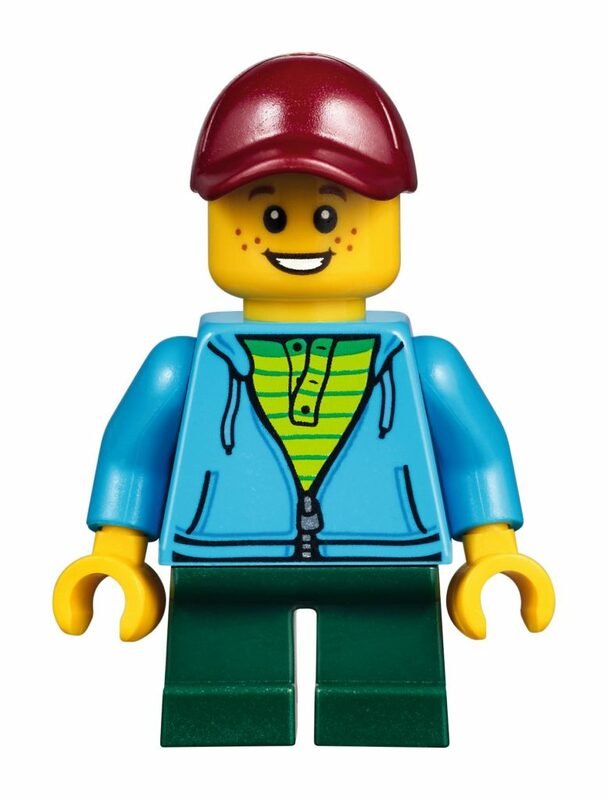 Overnight, LEGO dropped a new announcement. 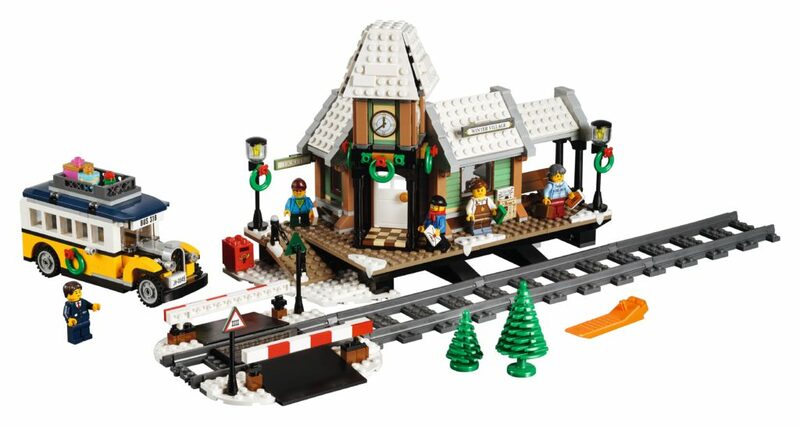 This year, our Winter Villages are going to have a train station. 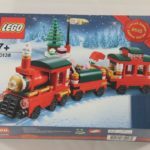 Now that beautiful Winter Holiday Train that many LEGO fans have circulating around Christmas trees in December will have somewhere to stop and collect more passengers. 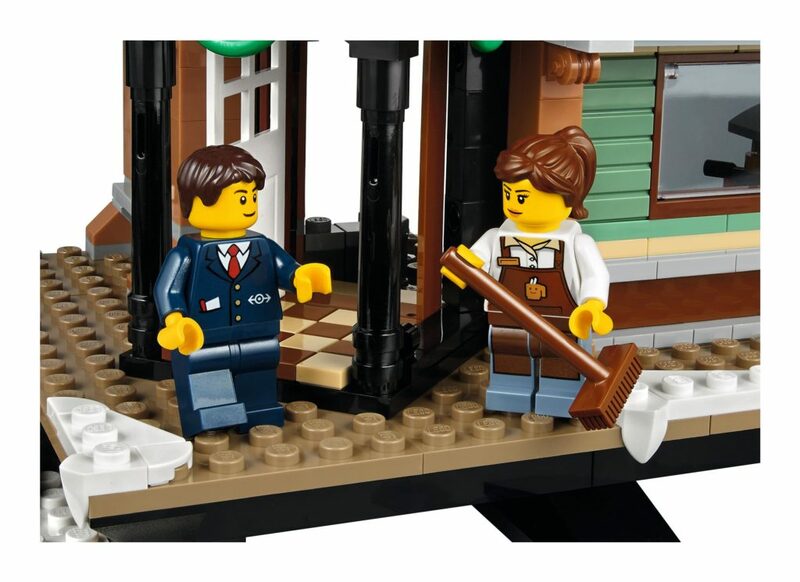 This set has 902 pieces, and will be available in LEGO Stores and Shop@Home from October 1, with VIP Early Access from September 14th. It will set you back US $79.99 / CA $99.99 / UK £74.99. 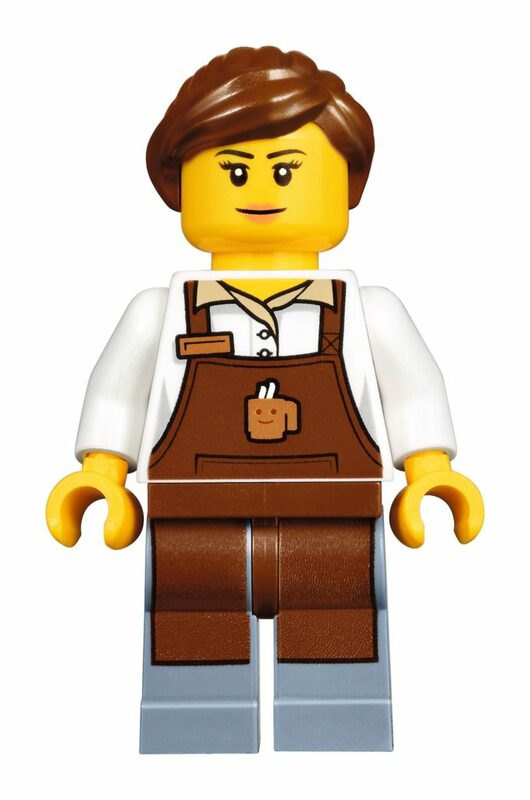 I’m expecting this to be around AU $125. More details will be here when we get a final Aussie price! 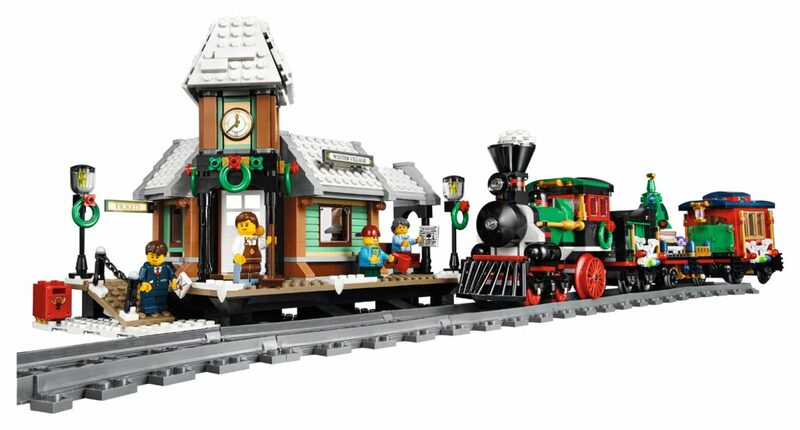 We now know that 10259 Winter Village Station will be retailing in Australia for $119.99. That’s not too bad. 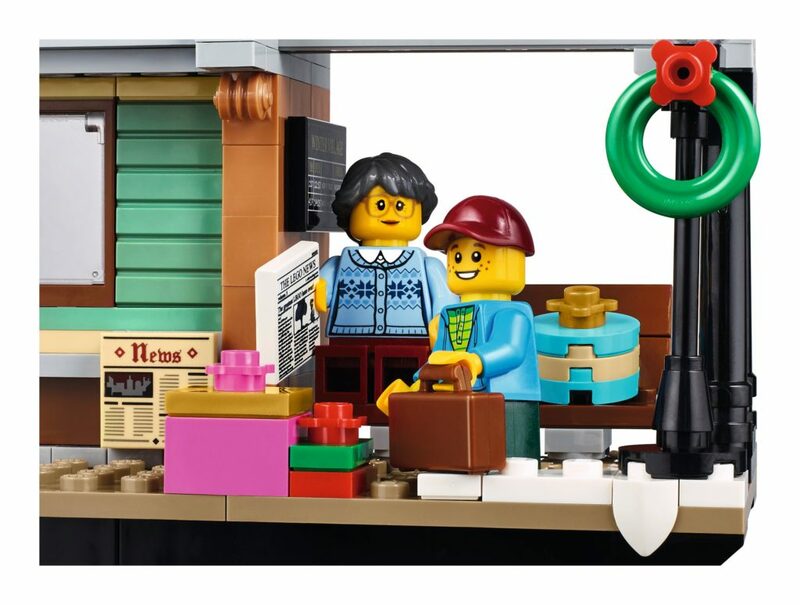 It comes complete with a coffee shop, cute little old style bus, rail crossing with boomgates, and five minifigures. 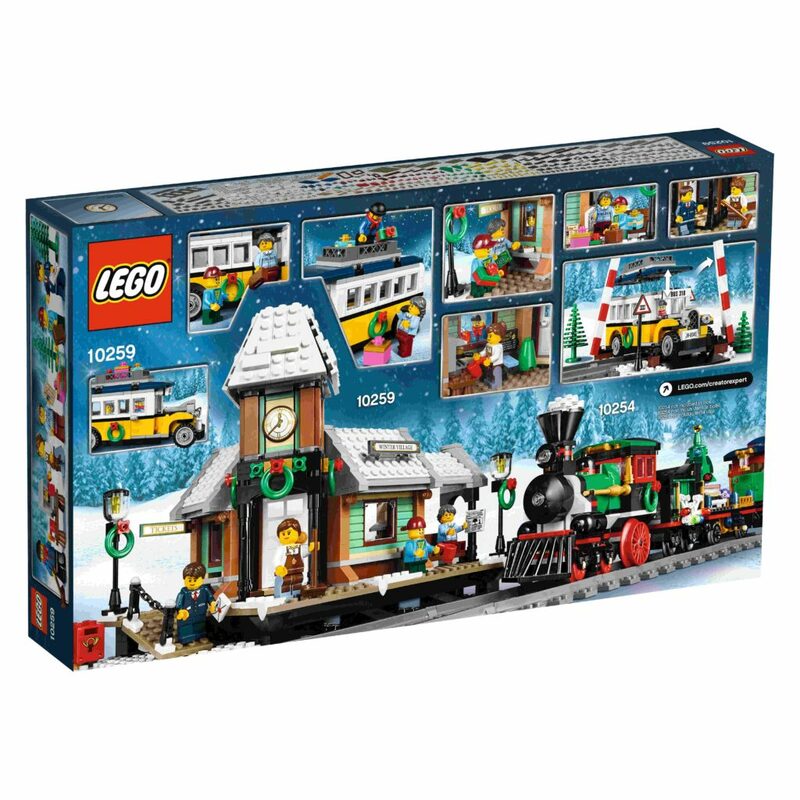 This is a small set at 902 pieces, but it’s bigger than the last three Winter Village sets we’ve had. Nonetheless, I think it could have been made a little bigger. The platform is rather small. There are some nice additions element wise, though. I like the decorative eaves under the main building. 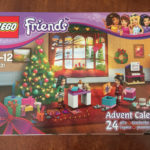 These have been seen in five sets since 2015, including 41101 Heartlake Grand Hotel, 10251 Brick Bank and 71042 Silent Mary. I also really like the balls of snow that are on the tops of the railings. I’ve not seen them before, but if anyone else has, leave a comment below. The clock faces are also a nice touch, and I think we get three of them. By the looks of things, there will be a few stickers – possibly eight? The two signs on the building, three on the bus, the letter box, and the two triangular signs at the rail crossing. 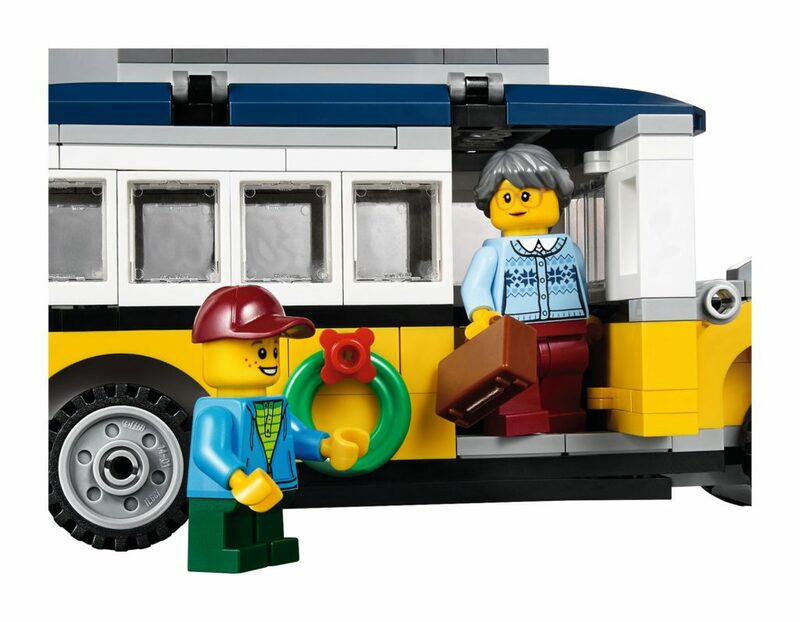 The minifigures include a bus driver, barista, grandma, kid and ticket agent. The full press release, as well as some other photos are available below. 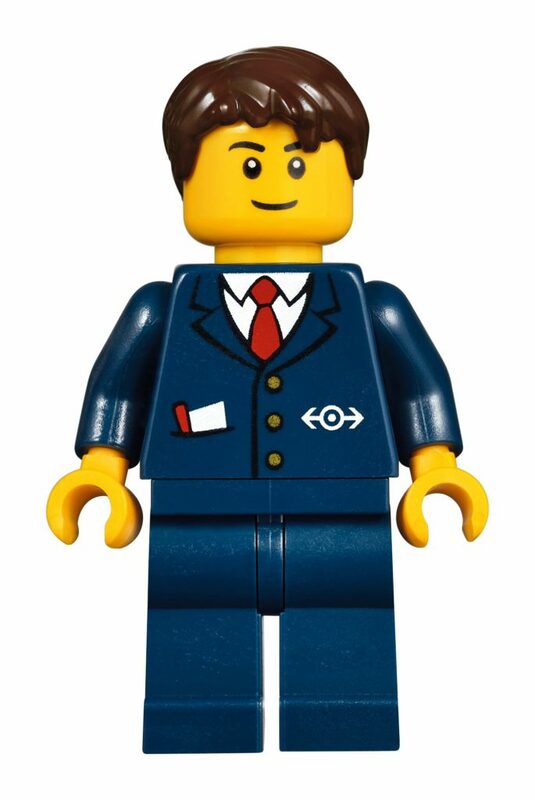 I don’t actually own the train, but for those that do, are you going to buy a copy of the Station? Let me know below. 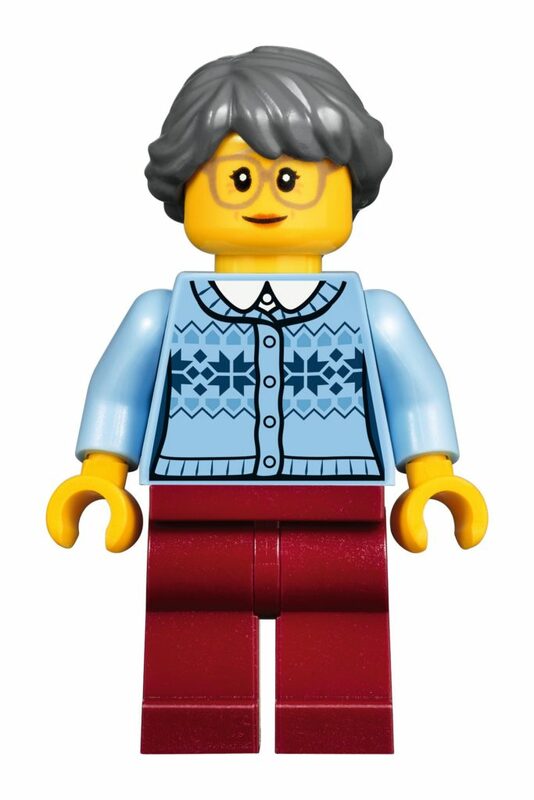 • Includes 5 minifigures: a bus driver, barista, grandmother, child and a ticket agent. 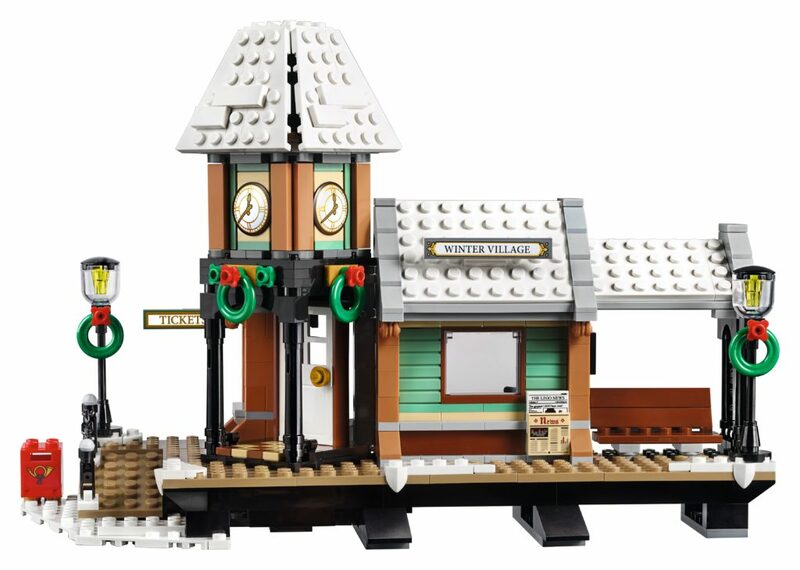 • The festively adorned Winter Village Station features a snowy train station with a clock tower, platform, coffee shop, ticket counter, grade crossing with twin barriers and lights, lampposts, mailbox and green trees, plus a bus. • Ticket counter features a timetable and a transaction counter window with room for sliding out tickets. 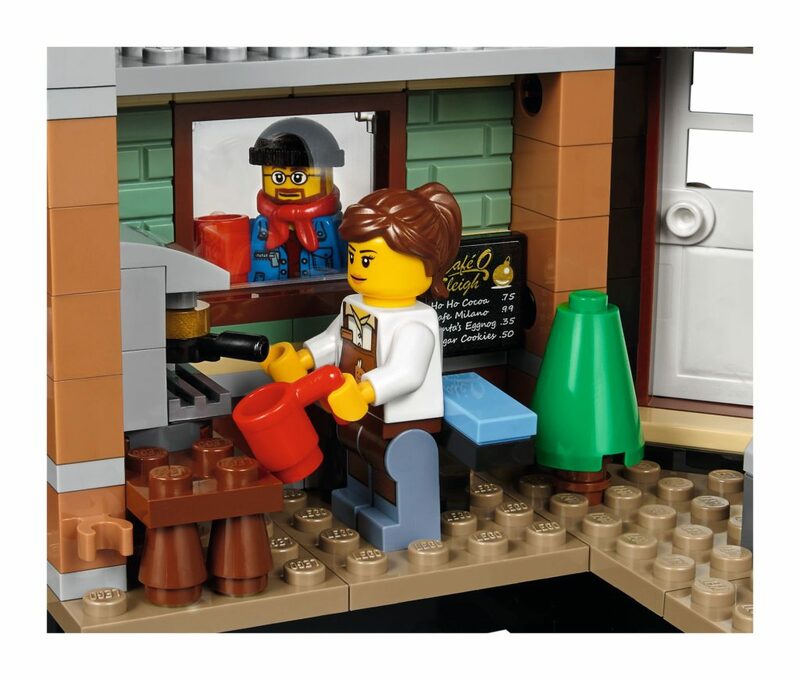 • Coffee shop features a serving hatch and a detailed interior with espresso machine, cups, cash register and a menu. 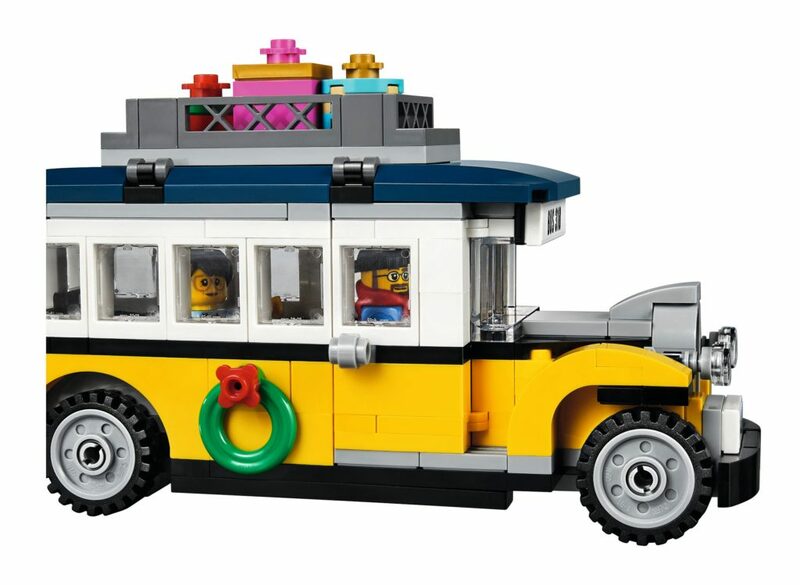 • Bus features festive decoration, opening doors, luggage rack with removable luggage and gift wrapped packages, and a removable roof for accessing the detailed interior. • Drive the happy passengers to the station. • Raise the barriers to cross the track. • Grab a newspaper and relax with a warm espresso from the cozy coffee shop. 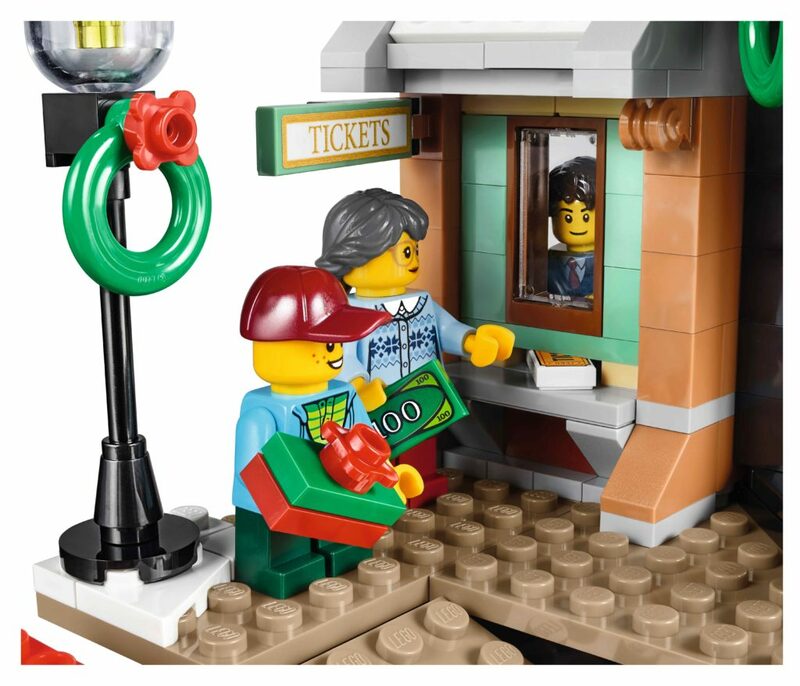 • Man the ticket booth, serve the travelers and slide the tickets under the serving window. 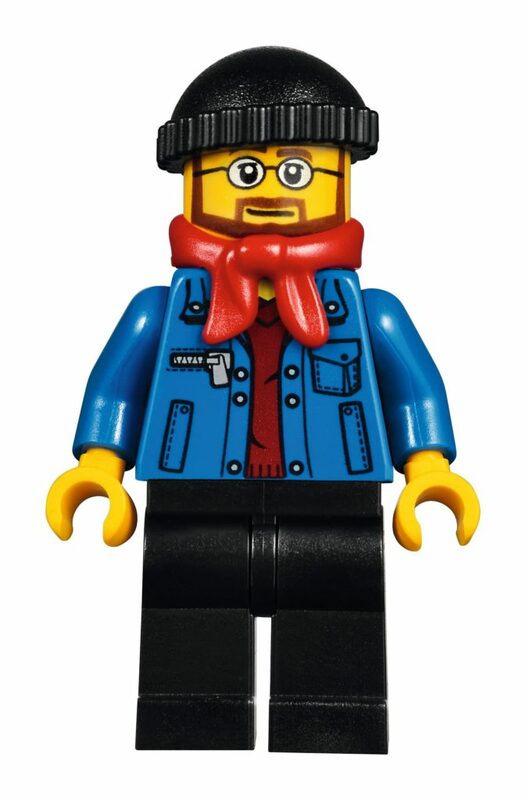 • Gather the family for some festive LEGO® building! • Accessories elements include buildable wreaths and wrapped gifts, plus 2 mugs, ticket, newspaper and an envelope. • Special elements include new 1×1 round plate with horizontal shaft, 4×6 roof element in dark blue, gray microphone element, printed ticket element and shield elements with printed clock-faces. 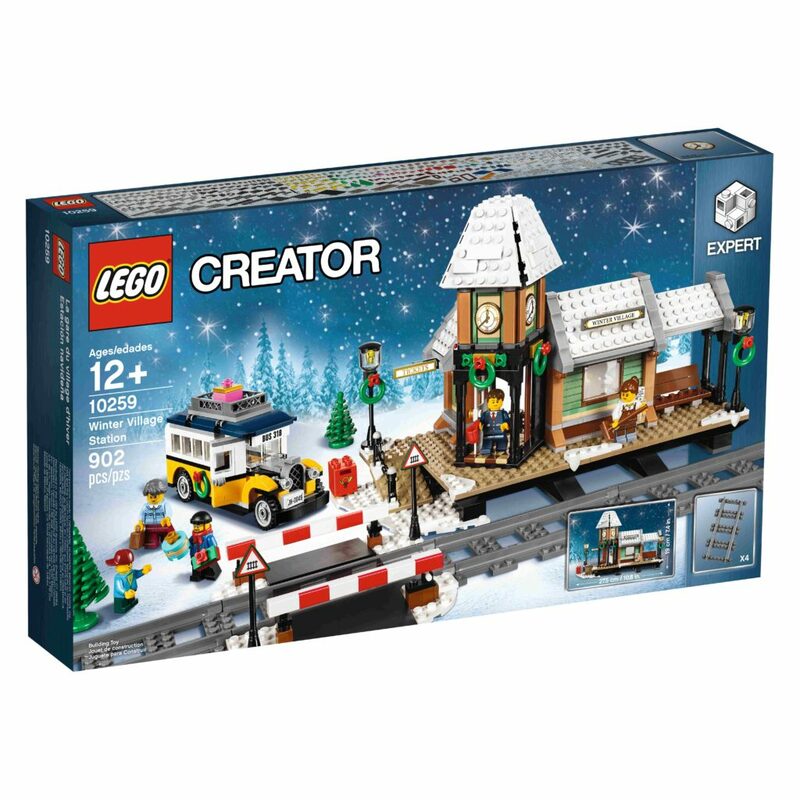 • Includes 4 straight track pieces to connect with the LEGO® Creator Expert 10254 Winter Holiday Train. • Winter Village Station measures over 7” (19cm) high, 11” (28cm) wide and 5” (14cm) deep. • Grade Crossing when closed measures over 2” (6cm) high, 5” (13cm) wide and 5” (14cm) deep. 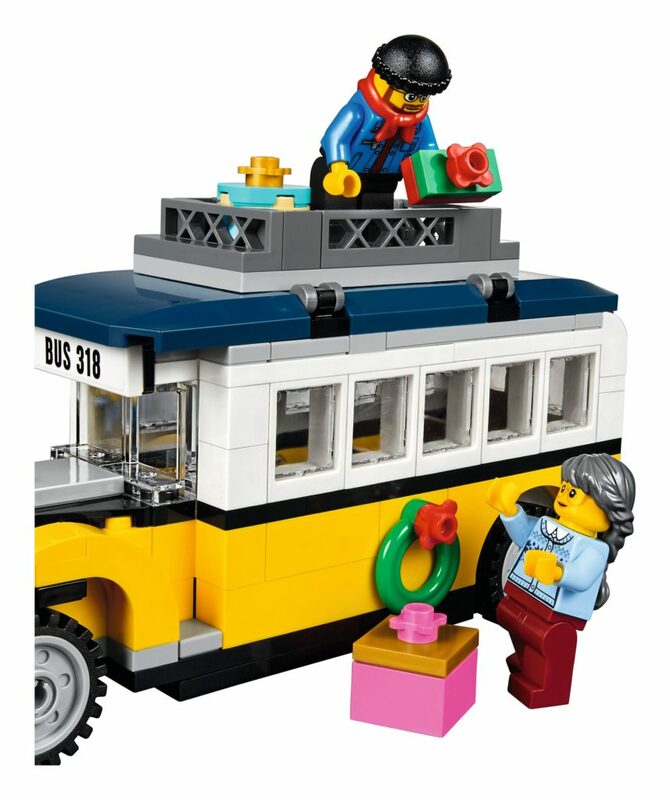 • Bus measures over 3” (9cm) high, 5” (15cm) long and 2” (7cm) wide.